Mitchell was raised in Hilo and graduated from the University of Hawaii at Manoa, where he majored in Zoology. His background is in technology and he focused on learning all he could about electronics and computers while working for CompUSA and Best Buy. 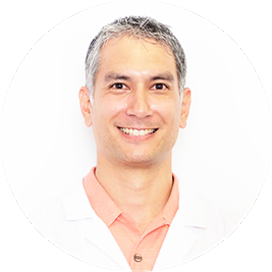 He is currently a licensed and Board Certified hearing aid specialist in Hawaii and is a member of IHS. He enjoys spending time on the beach with his four children.